An updated version to the 1997 National Best-Selling book, "The Weigh Down Diet," author Gwen Shamblin delves deeper into providing lasting answers to weight loss, addictions, destructive behaviors and all vices. The powerful and Biblically-based principles will lead the reader out of the pain and struggles of overweight, depression and addiction to a completely transformed life that is full of joy and peace. Filled with the basic principles of the Weigh Down approach, this book is for anyone new to Weigh Down, returning to Weigh Down or any participant wishing to "restart." Take a look inside and be ready to be transformed and set free! BONUS: After you purchase this item. A downloadable PDF dependencies worksheet will be placed under orders in your Weigh Down Account. Please call the office if you need help accessing this download. These protocols of liberation were first penned in the late 1970s and early 1980s in the form of The Weigh Down Workshop. By 1990 to 1991, the original WeighDown writings, audios, workbook, and seminar went from a local retail office to a worldwide seminar in 68 countries and into all religions and denominations. The world seemed ready for truth that set them free from their wrong life choices. The results were exhilarating and liberating to say the least, for they had been imprisoned for decades by a “no-responsibility” approach promoted by modern medicine and mainstream Christianity. The healing from WeighDown—turning to the Lord God Almighty for help—was phenomenal. True Christianity, in its purest form, is where you are born again, take off the old self and put on the new self, and in the midst of a world full of total selfish chaos, you can have blessings, hope for your children, and great peace. 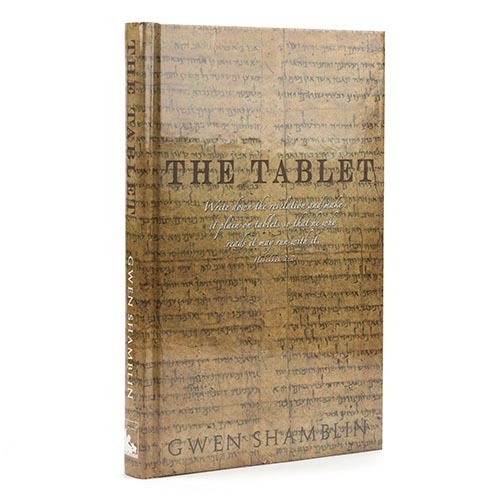 The Tablet, simply put, is how to take off the old self and put on the new, impactful self to be like Christ. Beyond a doubt, this is an absolute possibility for your life and your family’s lives—a deep healing and liberation from unwanted habits, dependencies, lifestyle choices, and behaviors that have been destroying our lives and relationships. New Creations… ordinary people who transform overnight and start losing weight, laying down overdrinking, anger, depression, bizarre lusts, overspending, drugs of all types, etc. We have witnessed massive weight loss, recovered alcoholics, drug-free addicts, cured chronic fearbound and anxiety-ridden worriers… all reformed from every stronghold or idol known to mankind. These transformations are permanent and profound because they have been approached the right way… turning away from man-made rules and turning to the Great Physician—the Maker of our bodies, minds and souls." This is my all time favorite book...super helpful in every area of my life, from eating tips to family help. Helped me find God in a whole new way. You will not be able to put down this essential guidebook on HOW to have a relationship with God, and answered prayers. Gwen Shamblin makes the Bible and God's will absolutely crystal clear, and able to be understood by anyone seeking God's will. She has answered the call and made the revelation plain, and actionable. The good fruit of the message and the results of those who've put it into practice is undeniable. THANK YOU! Truly transformational, and essential information for a life of victorious living through Jesus Christ in God's will! This book is gives so much hope with answers that are so life changing!! Very informative & easy to read!! The Tablet is full of answers to many categories of the answer to Permanent Weightlioss. If you are lost trying to find the Answer to Permanent Yes Permanent Weightloss you will find many answers in the Tablet. The World has gimmicks and God has a truth. The Tablet is full of Truth. It will open up your eyes and ears to the Reality you have longed for. You can't purchase this or any of these items in the World for such an reasonable Price for the Absolute Value of it.